CHICAGO (Reuters) - American Airlines pilots will test Boeing Co's 737 MAX software fix on simulators this weekend, the pilots' union told Reuters on Thursday, a key step in restoring confidence in the jet after two fatal crashes. "This airplane can be a safe airplane, and there have been great strides on getting a fix in the works, but I'll have a better feel after we can test it out," said Mike Michaelis, safety committee chairman of the Allied Pilots Association (APA), which represents American Airlines pilots. Michaelis said one APA pilot and one pilot from American's management team would test the software fix in Renton, Washington, where Boeing builds the MAX and has two simulators. 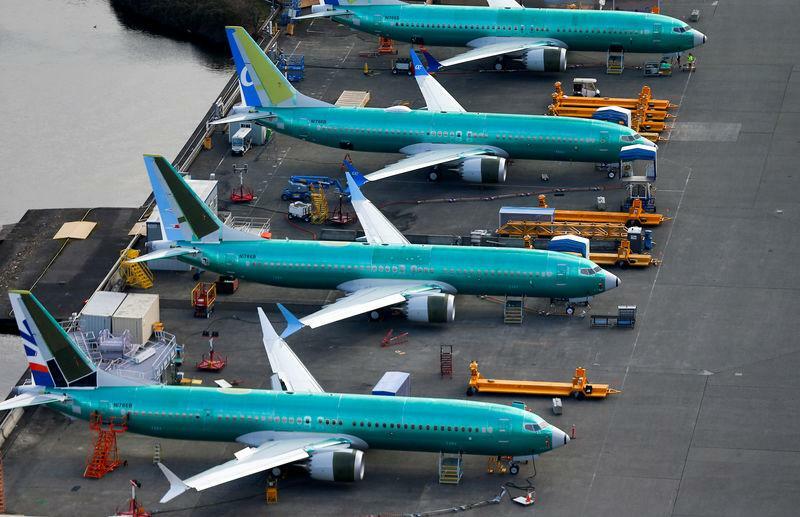 "We have been engaging with all 737 MAX operators and we are continuing to schedule meetings to share information about our plans for supporting the 737 MAX fleet," Boeing spokesman Paul Bergman said. The main simulator producer, Canada's CAE Inc, said it has delivered nine of the simulators, which are now in high demand but take about a year to build. CAE expects to deliver 20 more in 2019. "When it comes to safety issues, it has to be a full-course meal, nothing a la carte," said Dennis Tajer, a spokesman for the American Airlines pilots' union and a 737 pilot.